April 22, 2019 | UFO Sighting in Fort Jones, California on 2014-11-14 16:00:00 – Seen the ufo in the distance while walking with my 4 kids, looked up and seen it hovering. took out my phone and shot a pic real quick. April 22, 2019 | UFO Sighting in Pasco, Washington on 2019-04-21 11:20:00 – 4 ufos over pasco, wa in formation that disappeared. April 22, 2019 | UFO Sighting in North Wilkesboro, North Carolina on 2019-04-21 22:25:00 – Disc shaped, blinking, hovering object. April 21, 2019 | UFO Sighting in Dayton, Ohio on 1969-04-07 18:00:00 – Light in western sky. seen from dayton, ohio on april 7, 1969. UFO Sighting in Anaheim, California on 2019-02-08 12:57:00 – Heard some helicopters approaching so i exited my car to take a video o the choppers when i was done recording and reviewed the video i noticed the anomaly and was shocked at what i saw . UFO Sighting in Plainfield, Illinois on 2019-02-08 08:10:00 – Saw figure 8 shaped glowing silver craft approximate airplane height moved south from 80 to 45 degrees over about 30 seconds before fading out. Ufo inspired clothing by UfoNewshub, the truth will come out in the end so why not let the world know! If you loved Space Invaders as a child then you will love this. Classic retro action on the comfort of your iPhone. 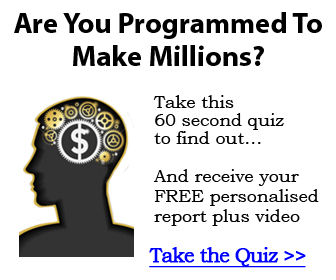 "Give us 1 hour per week and we'll force the world's top hypnotists to give up their most powerful, most covert, and most effective mind control secrets for creating the life of YOUR dreams" Click Here! Copyright (c) UFONewsHub 2017 - FAIR USE NOTICE: This page may contain copyrighted material the use of which has not been specifically authorized by the copyright owner. This website distributes this material without profit to those who have expressed a prior interest in receiving the included information for scientific, research and educational purposes. We believe this constitutes a fair use of any such copyrighted material as provided for in 17 U.S.C § 107.